An artist’s concept portrays a NASA Mars Exploration Rover on the surface of Mars. NASA’s beloved Mars rover Opportunity has been silent for months after getting swept up in an enormous dust storm on the Red Planet last summer, and NASA engineers have been pinging the rover to answer to no avail. Now, NASA says it will send new commands to the resilient explorer in hopes of making contact, even as the possibility that it will respond becomes increasingly uncertain. These new efforts to contact the 15-year-old rover will go on for several weeks and will address three possibilities, according to an update from the space agency, namely that Opportunity is experiencing problems with its radios or internal clock. NASA called the circumstances that would have resulted in the specific problems it’s addressing “unlikely,” but Opportunity’s team hasn’t lost hope yet. Opportunity went quiet in June following a massive Martian dust storm—the strongest ever observed on the planet—and NASA engineers believed that the solar-powered rover went into hibernation mode to save what power it had left. They hoped that strong winds during a subsequent “dust-clearing season” would help clear its solar panels and allow it to power back up, but no luck thus far. Now, as this season draws to a close, engineers are working against the clock. According to NASA, nearing low temperatures could pose new threats to Opportunity’s systems and batteries if the rover isn’t able to boot up before then. This month, Opportunity celebrated the 15th anniversary of its landing on the Red Planet as part of NASA’s Mars Exploration Rover mission. 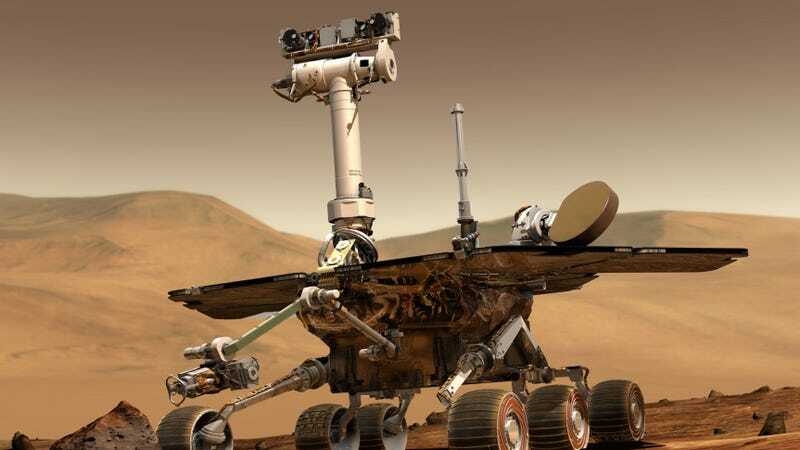 Together with its twin rover Spirit, which touched down on Mars weeks before it in 2004, Opportunity embarked on what was expected to be a 90-day mission to search for signs of water on the planet. Both rovers far outlasted their expected mission lifetimes. While Spirit’s run on Mars effectively ended in 2011, Opportunity persisted and continued to make invaluable scientific discoveries. We’re rooting for you, Oppy. Please phone home. 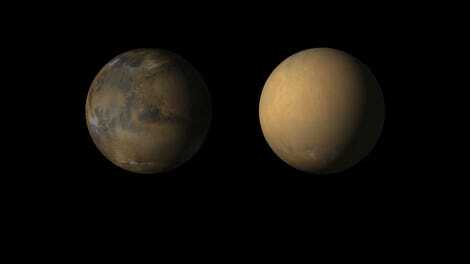 How Will NASA Know If Opportunity Is Okay After the Martian Dust Storm?